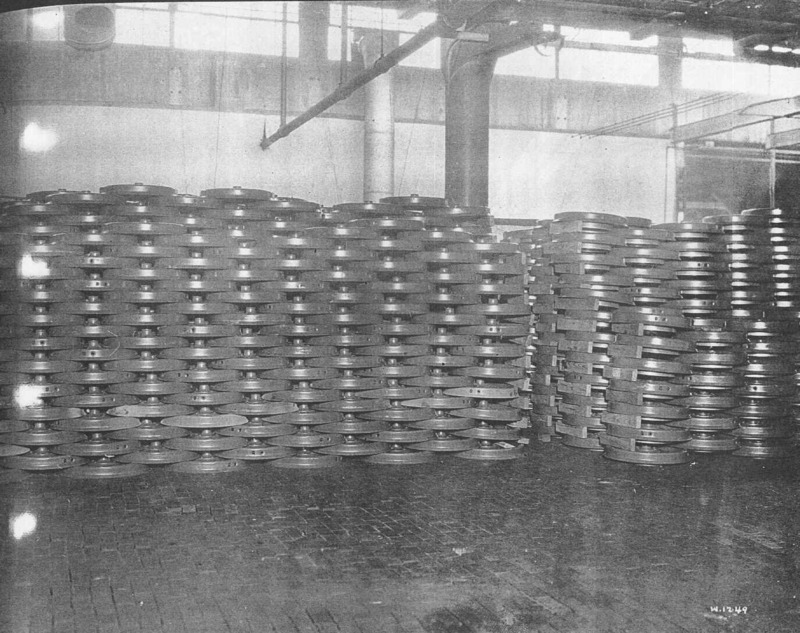 Just behind us you'll see stacks of our stamped steel wheels awaiting final assemble. Okay enough of the storage areas, lets head into the final assembly area. Please stick together so we aren't getting in the way of the workers, it's a very busy area where we're going next.